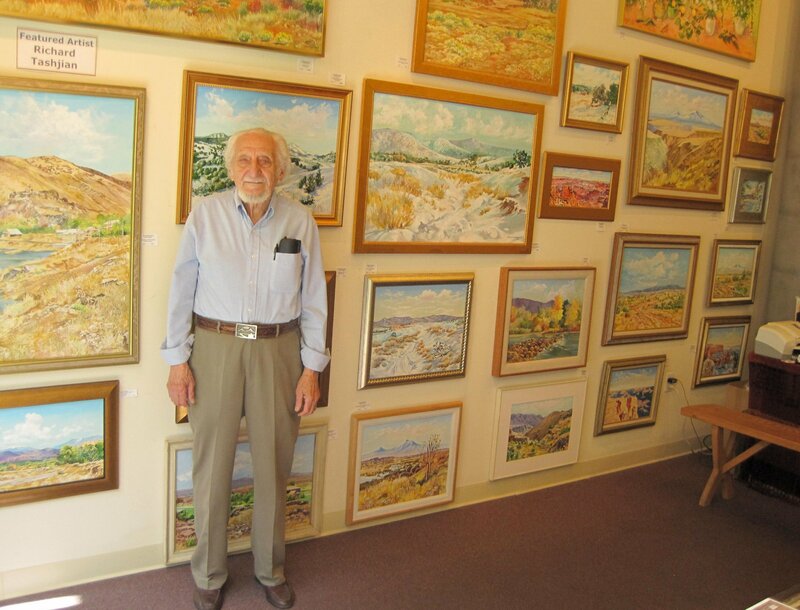 Richard Tashjian is a fascinating artist and the art community needs to know of his success here in Santa Fe, NM. He has made several trips to Armenia taking photographs, paintings, drawing, meeting with artists and museum directors, etc. He is originally from Watertown, MA. We enjoy seeing his new artwork and have chosen him as the featured artist in May/June with a group of wonderful originals. One particularly interesting painting is “The Village of Pithni”. It features an old church on a hillside. It is an acrylic on panel, 37″x24″. The details on the other paintings can be provided upon request. The show opens June 1, 3-5 p.m. and runs through June 30 at our downtown location, 60 E. San Francisco St. Ste., 210 in the Arcade on the Plaza, Santa Fe, NM. The Public is invited and the admission is free.